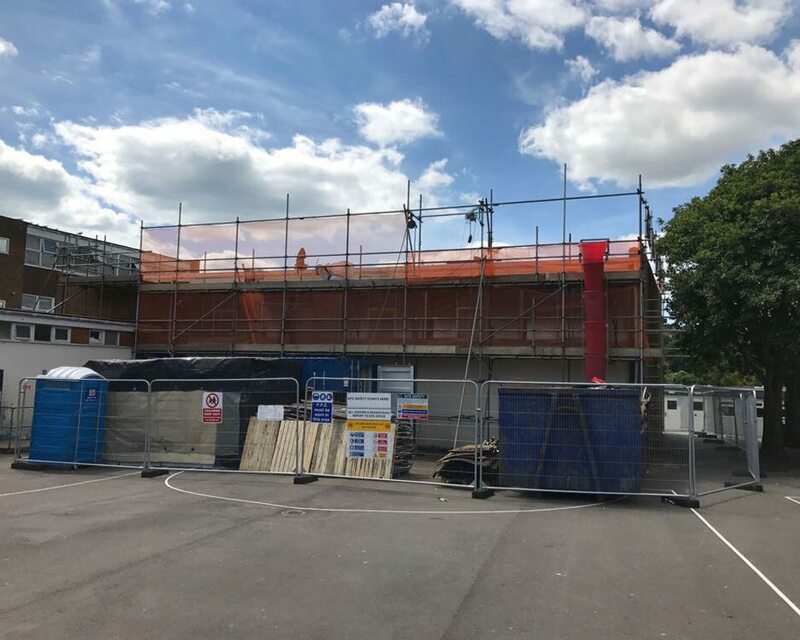 The roofing works have begun for the first of 3 schools that are due to take place during the school summer holidays, which are fast approaching. Hove Park Lower school is having their gymnasium and some of their classrooms re-roofed in a full Garland built up felt roofing system. This will involve stripping off all the existing failing roof system and re-installing it with new, which will increase the insulation efficiency of the building. The gymnasium will also benefit from some new cladding and guttering. We will post photographs to keep you updated of our progress of this project and others during our busy summer!